Discussion in 'Archives' started by Joe, Mar 2, 2016. We at AVE40 are hooking up TEN lucky members with the UD Simba RTA Tank. The UD Simba has the most interesting feature of new SS316L solid ceramic, cotton-less coils, for flavorful experience. 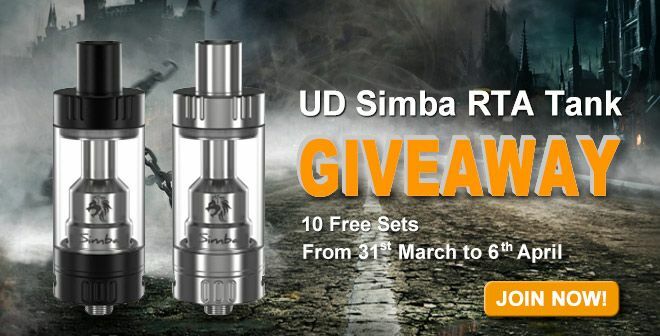 Giveaway Prize Includes 10 sets of UD Simba RTA Tank. We offer 12 ways to enter and increase your chance of winning. The odds are forever in your favor, so don’t miss your chance at this golden opportunity. Note: This giveaway will be closed on 6th April. 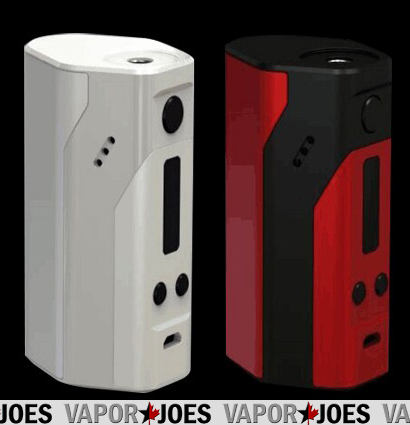 The post Ijoy Goodger Tank $19.99 appeared first on Best Vape Deals - Cheap Vape Mods, Tanks & eJuice | Vaping Cheap. 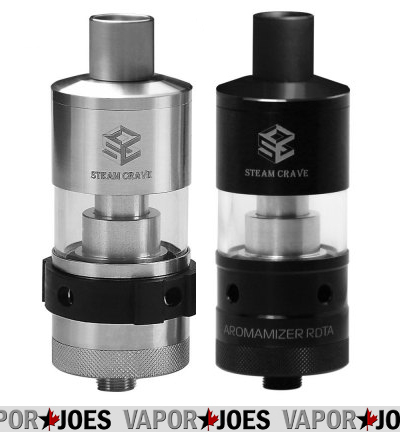 The Aromamizer RDTA by Steam Crave is an innovative, rebuildable dripping tank atomizer that features a side tension applied two post design, a unique bottom liquid feeding deck, and two sizes that allows users to pair the Aromamizer appropriately with mods and configurations both large and small. The design allows for independent filling and wicking, with 4 pairs of two liquid feeding channels with filling guards, making filling and refilling easy and simple. The build deck can then be separated and maintained without the need of emptying the tank, providing additional convenience. The build deck features a two post side tension applied design, with each post hole measuring 2mm each and arranged in a vertical stack that makes coil setting incredibly easy. The Aromamizer has a unique liquid feeding system, designed directly into the deck and feeding the coil systems directly from the deck itself. This design allows for viable and effective vertical coil arrangements while also reducing leaking and excessive liquid back pressure. The Aromamizer's drip tip is also designed specifically to reduce possible spitback and enhance flavor experience, as airflow is redirected first horizontally into four channels then refocusing the stream. Offered in two tank capacity variations, the Aromamizer comes in either a 3ml or a 6ml tank capacity, giving users the option to directly pair with needs and desired appearance. A complete integration of innovative, unique, and incredibly useful features, the Aromamizer RDTA by Steam Crave. The post $60 of Premium e-Juice for $22.49 appeared first on Best Vape Deals - Cheap Vape Mods, Tanks & eJuice | Vaping Cheap.